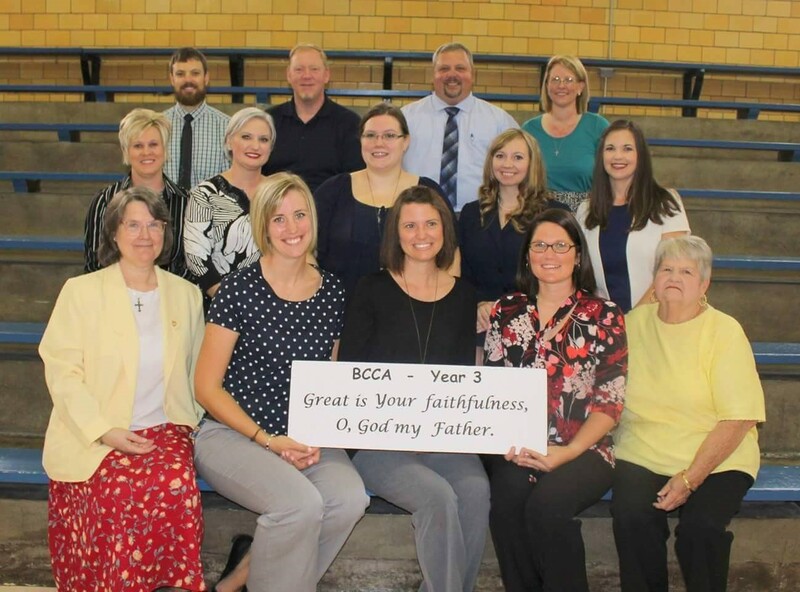 After participating in a literacy training with Origins Learning Services, LLC in August, Classical Christian Education International, Inc. volunteered for 2 weeks at Brown County Christian Academy as they kicked off year 3! The BCCA has more than doubled in size and God is blessing them greatly. 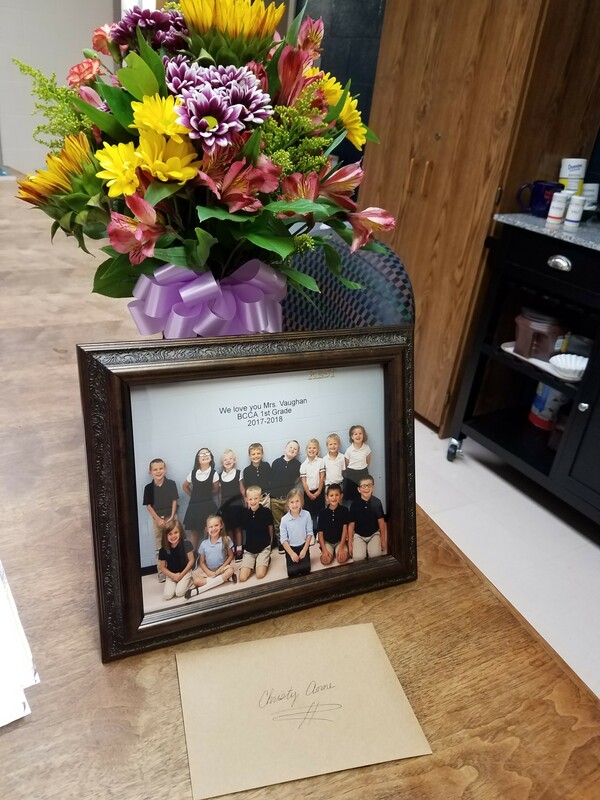 Christy Anne was blessed to serve in First Grade with some exceptionally bright and loving students. They were a joy! David helped Headmaster Eric Purdy with security and other administrative tasks. We also provided some scholarship funds for children in need. 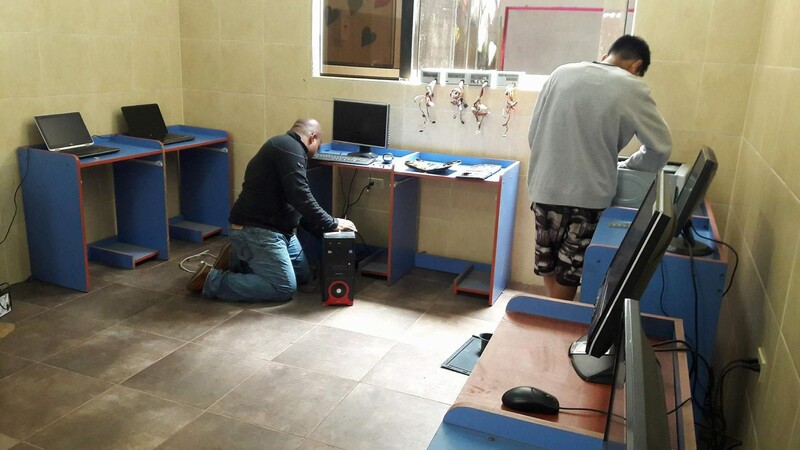 After Hurricane Irma finally left Florida and the power was back on, mission partner Richard Hendricks traveled with Christy Anne Vaughan to Yo Soy Jesus school in Lima, Peru to set up a computer lab for the school (previous one was destroyed by water damage in the unusual January floods in Lima) and celebrate the month of the Bible. In the photo at left, we are presenting the prize of a snack basket to the winning high school class. We were blessed to participate as judges as the classes performed recitation, skits, songs and artwork celebrating God’s Holy Word. Abigail was instrumental in planning and implementing the youth group and high school activities. Please be in prayer as her R1 Visa paperwork for internship here in Florida through Real Life Church International is still in the hands of the department of Homeland Security. Please agree with us in prayer that God will provide the Visa in His perfect timing and Abigail will be a blessing to all, including our Spanish language translation project for Classical Christian school materials. 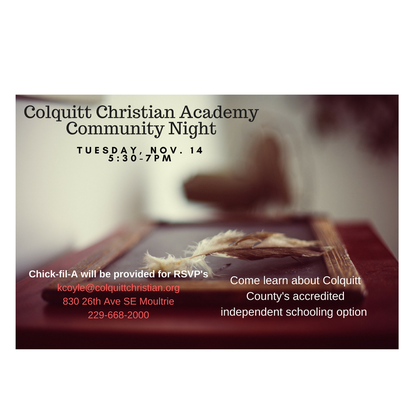 In November, we will co-host an open house at Colquitt Christian Academy in Georgia with Head of School Kelly Coyle. We will bring pamphlets on Classical and Christian education and present a general overview of why a classical Christ-centered education is so important. This will be an opportunity for local families, churches and businesses to find out more about the school and offer prayer, volunteer and financial support. We are returning to Peru in December with CCEI, Inc. President David Vaughan, Treasurer Christy Anne Vaughan and mission partner and IT expert Richard Hendricks to honor Abigail’s father Olmedo and uncle Gabriel as they graduate from Rhema Bible College with a 2-year degree. Olmedo serves as the Pastor at the church meeting in the school building and Gabriel is head of the school and soccer coach at Yo Soy Jesus. CCEI, Inc. also has become involved in a Classical Christian Cooperative in neighboring Lehigh Acres, Florida named Telos Christian Homeschool Community. CCEI, Inc. Vice President Annie Preece’s grandson is a student there. Christy Anne Vaughan is his local tutor. 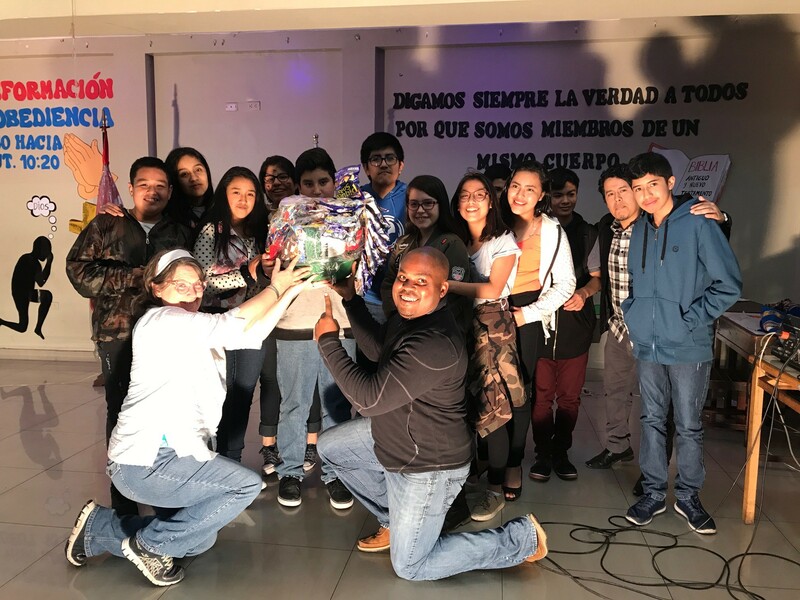 Prayer requests: Please be in prayer for start-up and young schools in Queens, NY; Sao Paulo, Brazil; Washington, D.C.; Moultrie, GA; Ocala, Florida; Uvalde, TX; Brown County and Felicity, Ohio; Lima, Peru; as well as a larger building to house the increased enrollment at Grace Christian Academy in Merrick, New York (Long Island) and for a unified campus for Christ Classical Academy in Tallahassee, Florida. Please pray for our next trip to Peru in December. We still seek a bi-lingual editor for Spanish translation of texts. Pray health, healing and wholeness for Abigail Varillas’ mother Flor who suffers from diabetes. Praises: The start-up schools in Sao Paulo, Brazil and Queens, NY are coming along as God provides. CCEI, Inc. will be speaking at the annual Grace Christian Academy Gala dinner February 10.